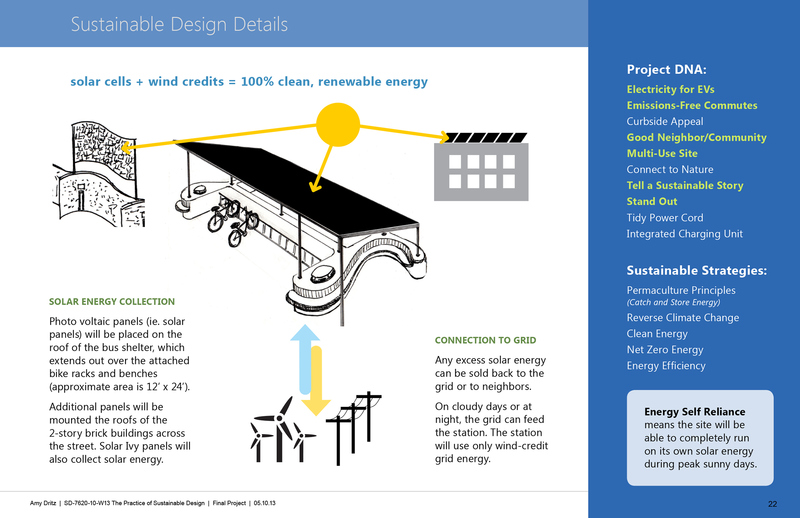 What will the EV station of the future look like? 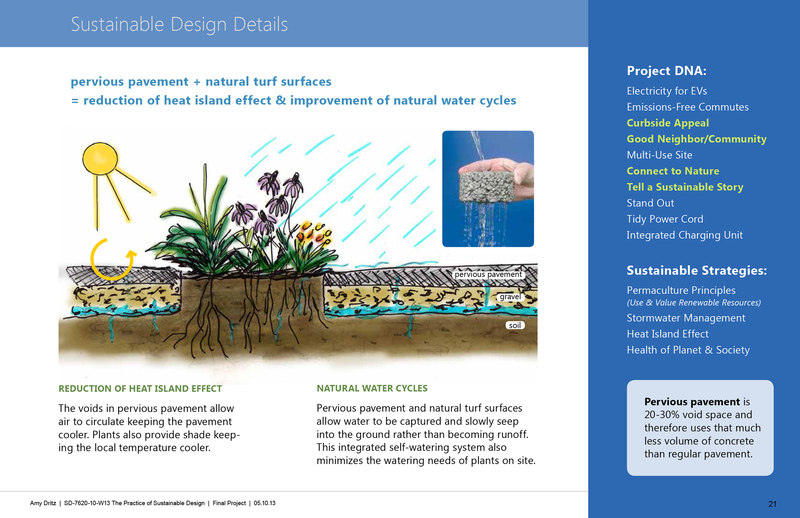 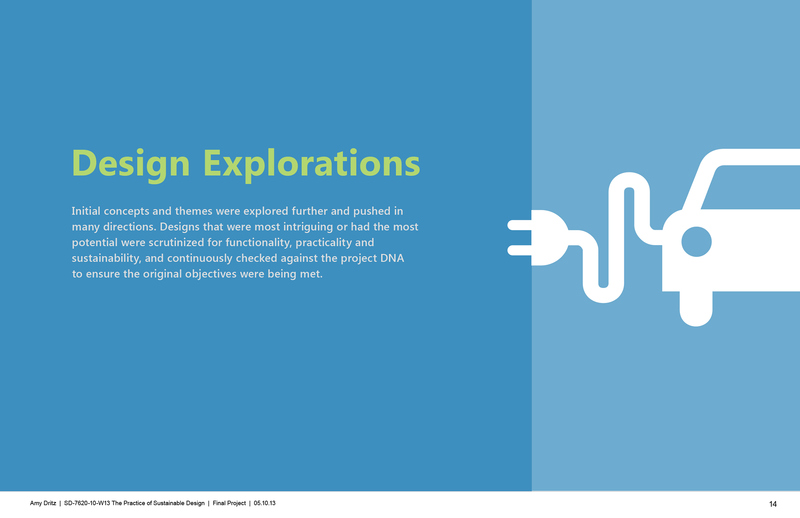 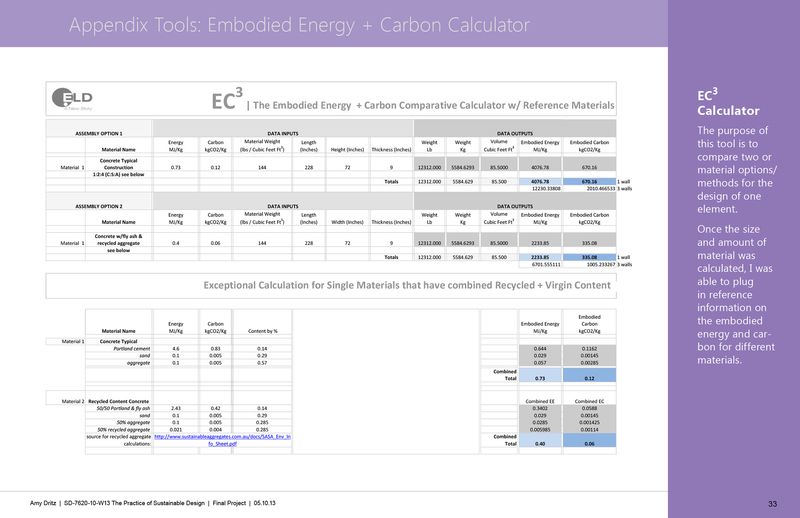 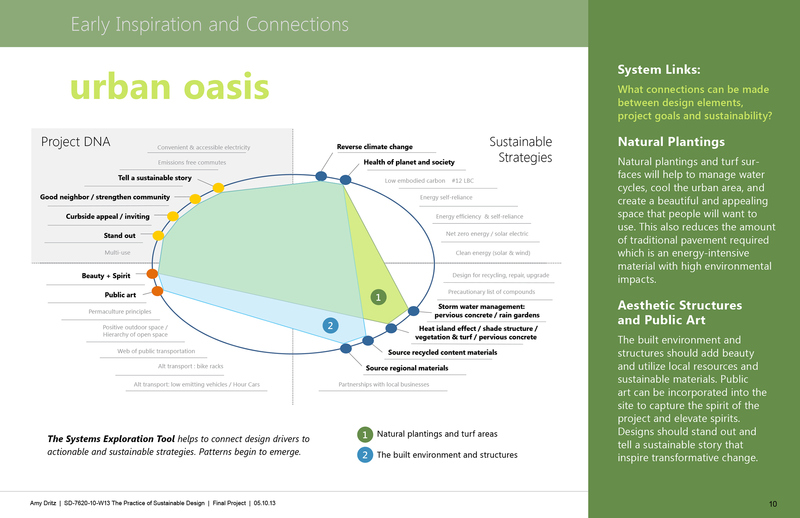 This semester-long project allowed me to put into practice many of the sustainable frameworks, principles, and design theories I had learned throughout my classes. 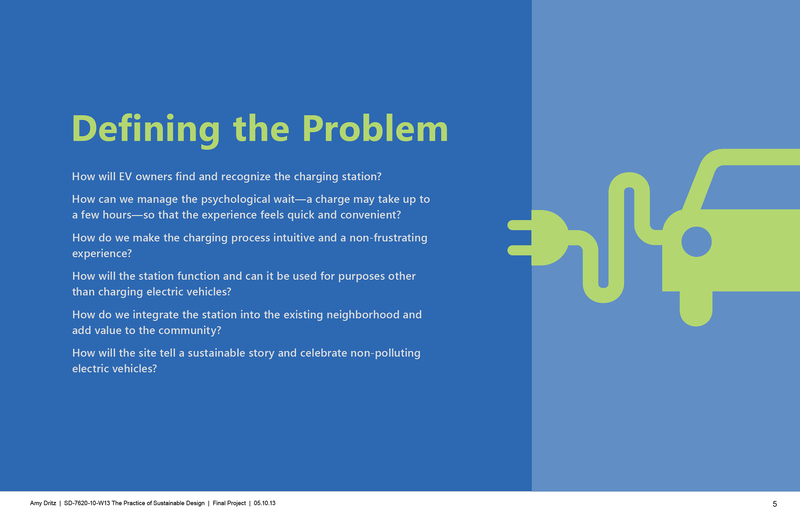 Parameters were given for the location, energy needs, and capacity of the station. 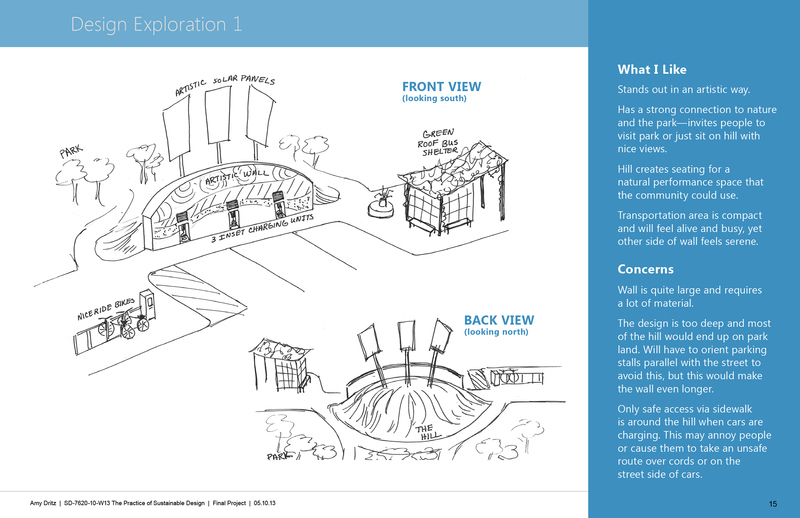 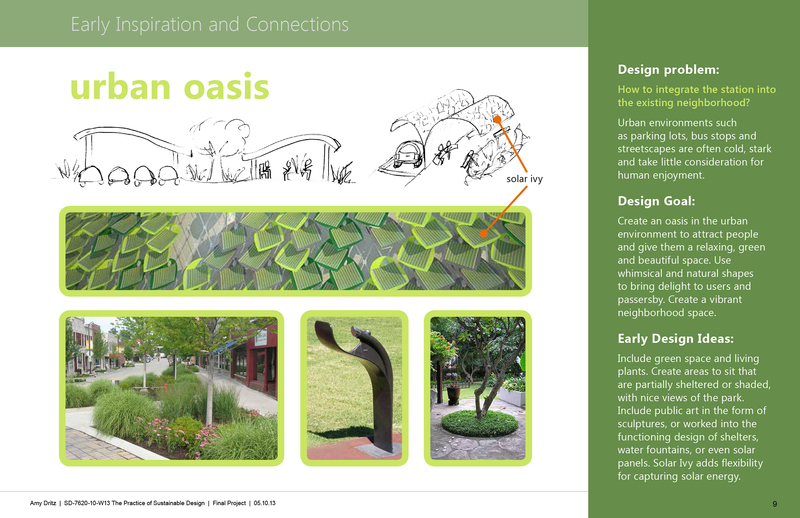 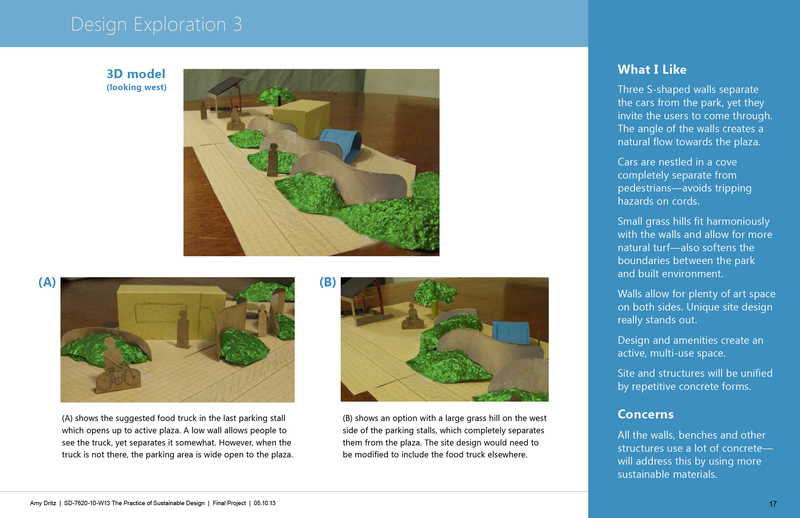 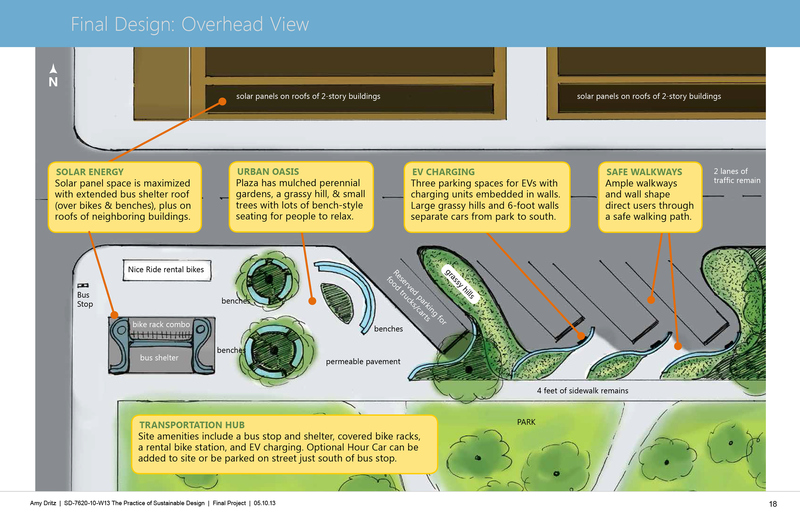 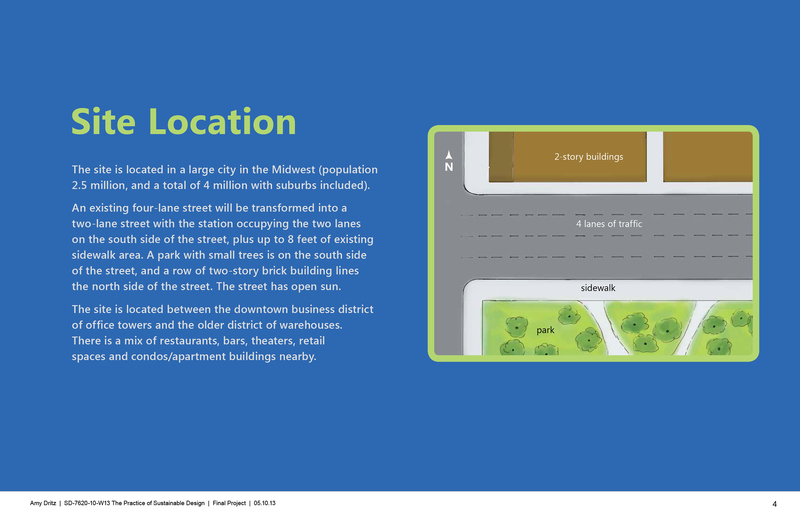 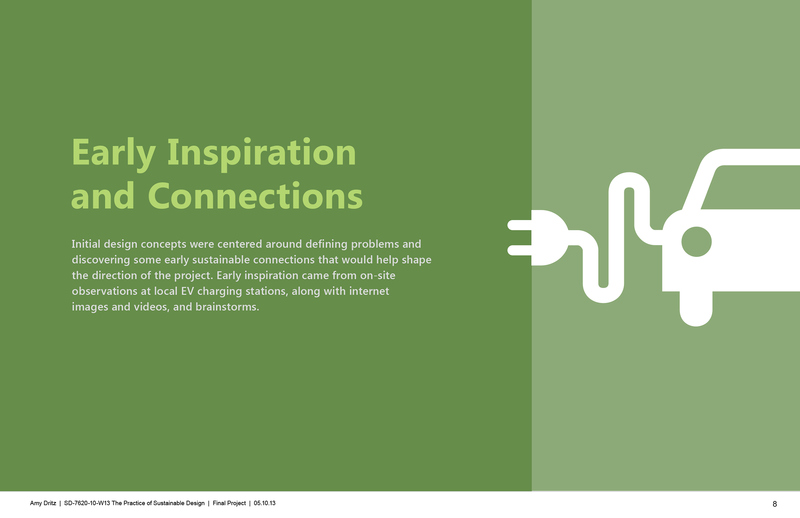 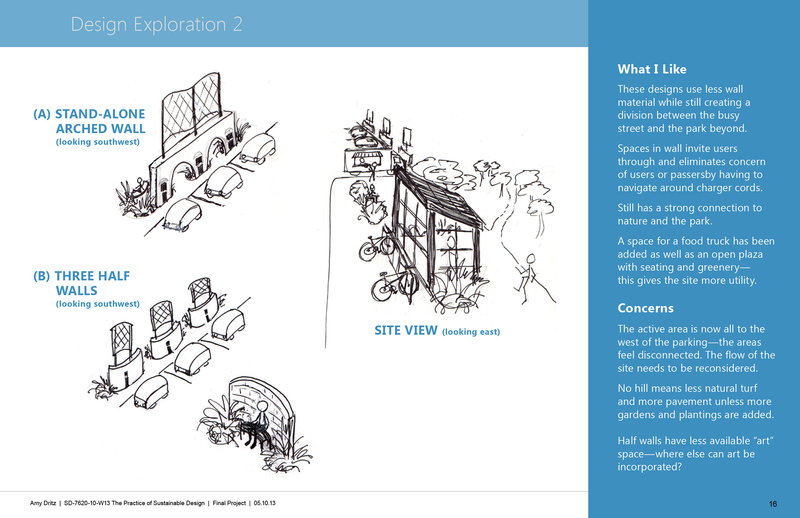 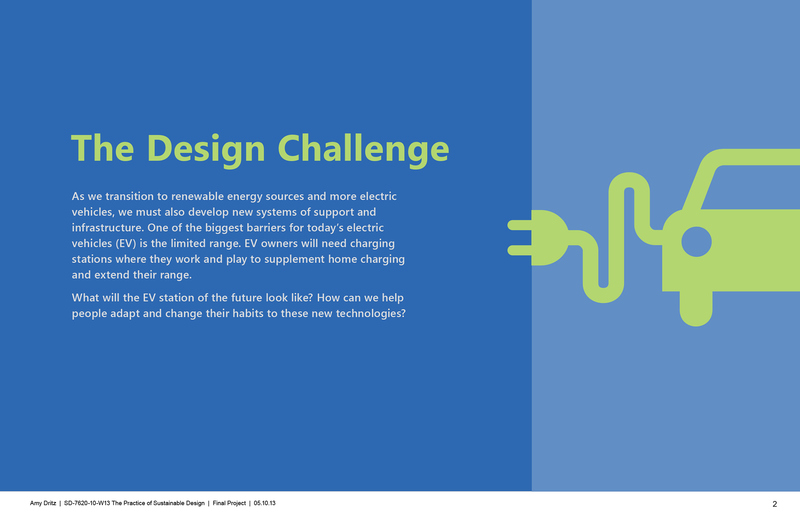 The challenge was to use a whole-systems approach to design a sustainable charging station that was integrated with the surrounding neighborhood.